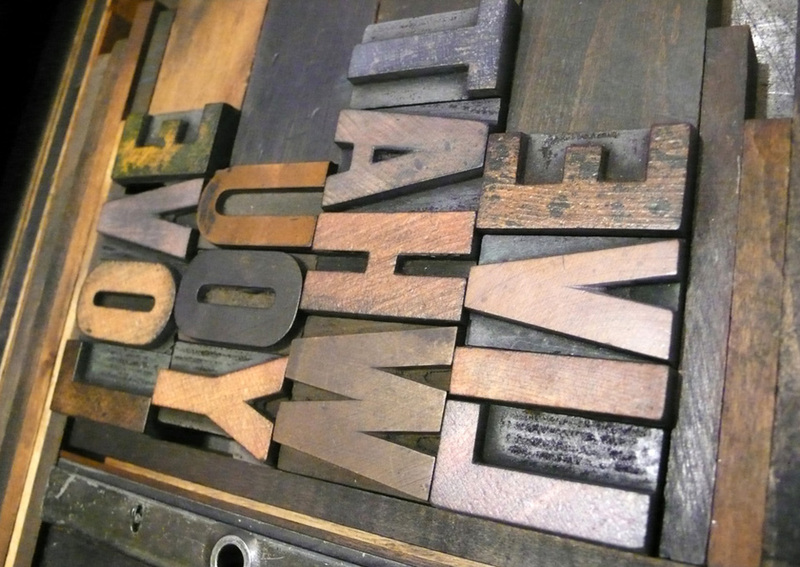 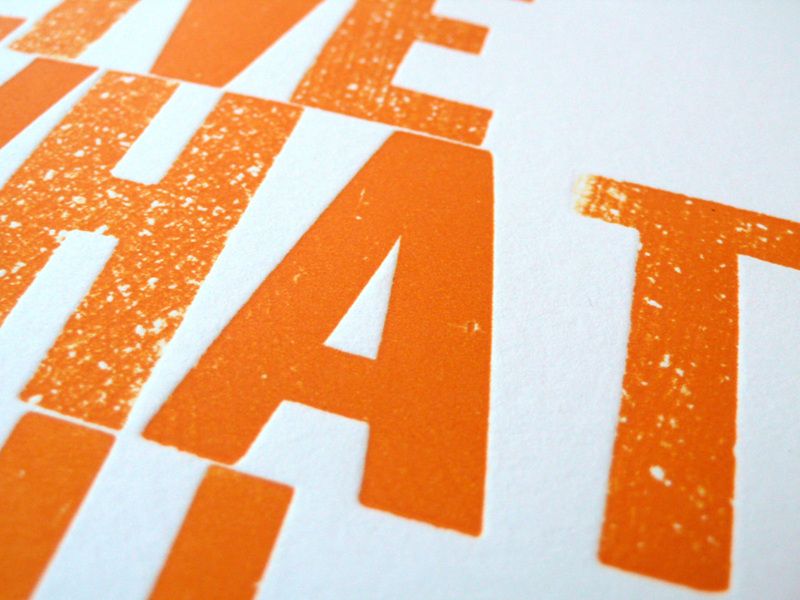 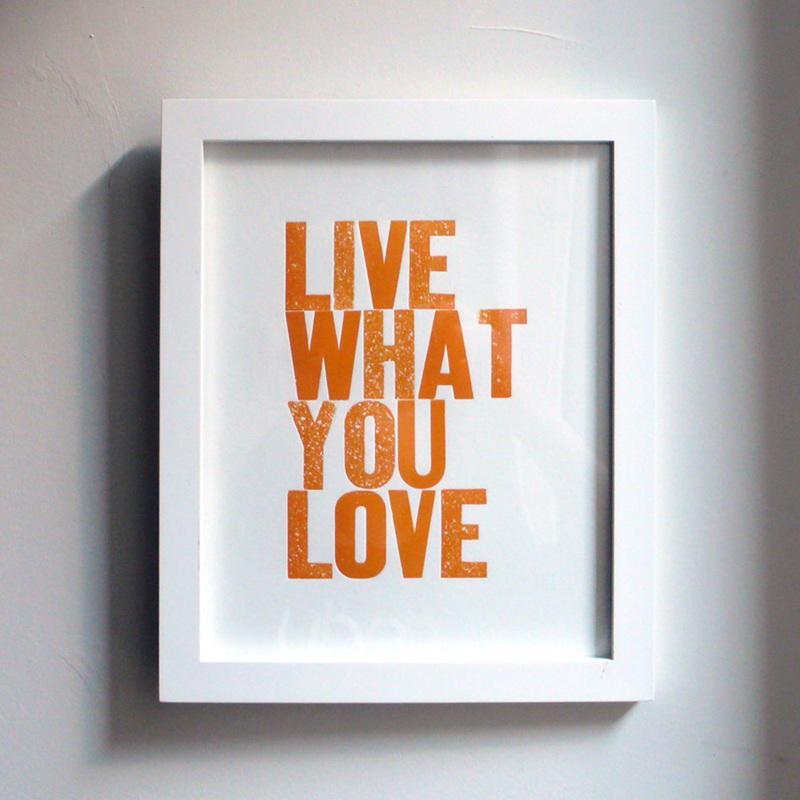 Letterpress “Live What You Love” 10th edition print in Orange. 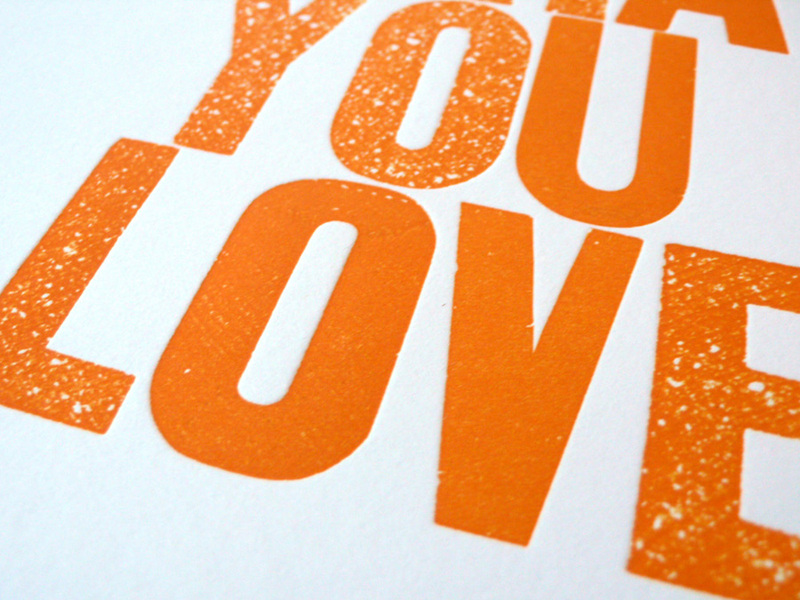 Limited edition of 60 prints. 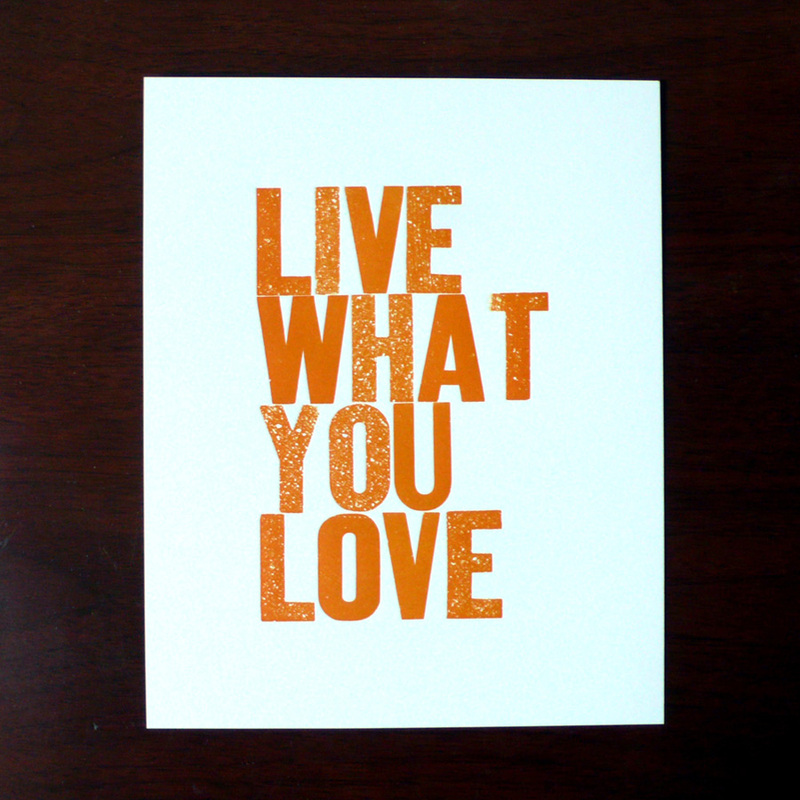 It is in 8×10 inches, letterpressed by hand using vintage wood type blocks on 110lb, 100% cotton Lettra Pearl White paper with soy-based ink.